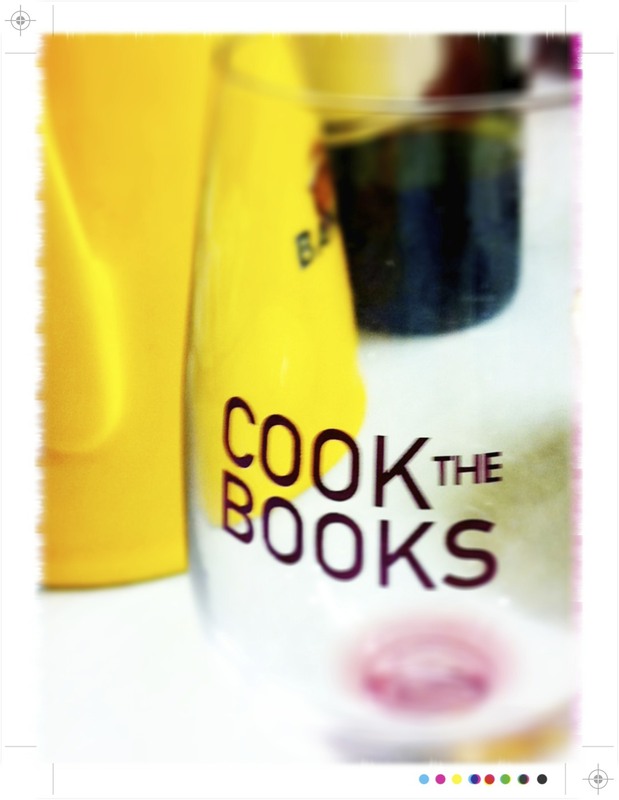 Last week I had the pleasure of another cooking class at Cook The Books. Cook book heaven and one dangerous shop if you have that common food loving affliction of that continuous urge to buy just one more cook book. I always seem to be able justify to myself an addition to the ever growing collection and various piles of books around the place. 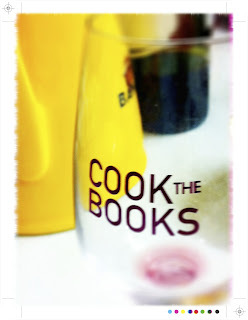 The cooking classes are run by Grant Allen, chef, and Felicity O'Driscoll, owner of Cook the Books. They are small classes with at most 12 people and one thing, make sure you go along hungry! You get to sample everything and there is always mountains of food. Accompanied by a glass or 2 of wine it really is like going around to a good friend's place for dinner. Spring vegetarian was the theme for last week's workshop and it provided some wonderful bright, light spring inspiration for the longer, hopefully sunny days to come. For details on all the cooking classes head over here. First up Grant whipped up a Roasted Aubergine, Pepper and Parsley Dip. 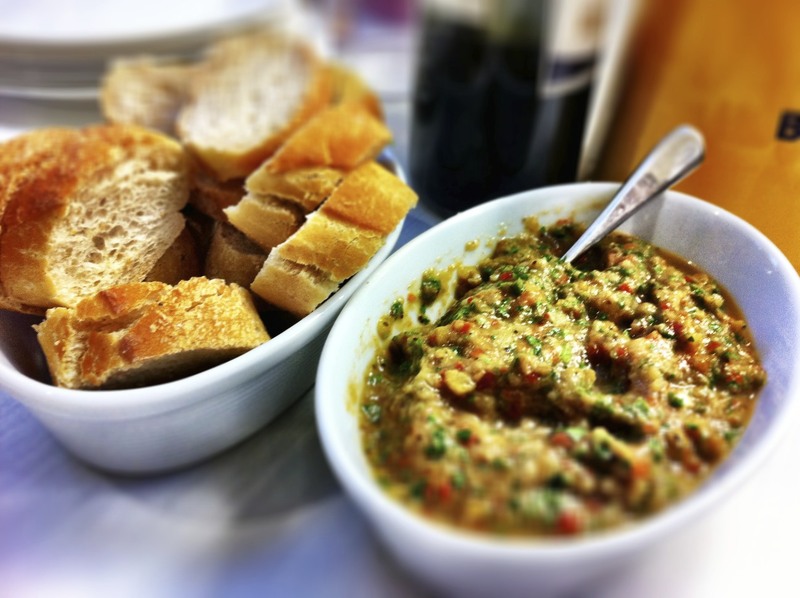 Wonderfully smokey with a little freshness from the parsley. Next up White Miso Corn Cakes, terribly moreish and when topped with a verdant Green Herb and Cashew Sauce, doubly so. 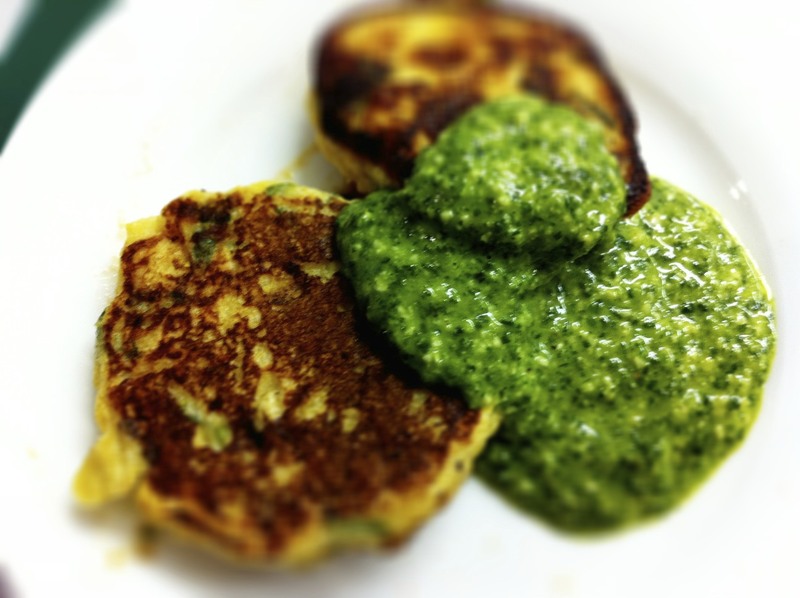 The corn cakes were like little fritters and the sauce, just so bright and full of flavour with coriander, basil, dill, parsley and mint. 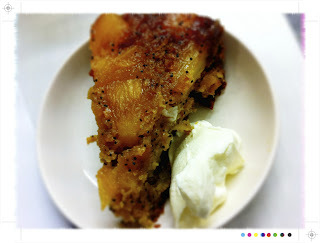 I reckon it would be great with a little grilled chicken or fish too. Moving on to more main course fare a lovely light pasta with a Spring take on carbonara, Spring Carbonara with Asparagus and peas. On the side a fabulous green salad, but not as you know it. 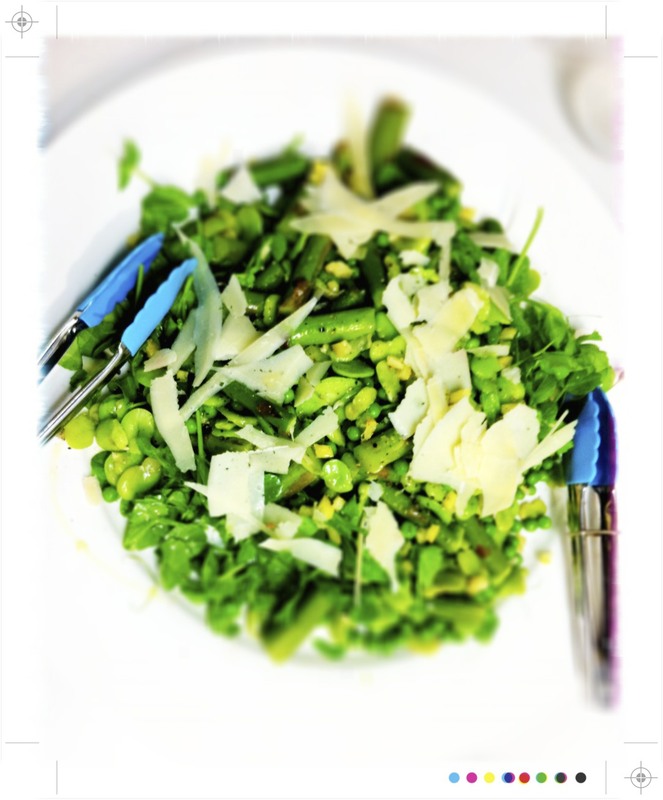 Basically Spring on a plate, Asparagus, Broad Bean and Pea Shoot Salad. Simple, but if like me you love asparagus and broad beans then it really is perfection itself. I have a feeling this combination will be featuring quite a lot over the coming months. I did tell you that you need to go hungry because there was more and that's before we even get to dessert! A stand out for me was the Persian Zucchini Frittata. 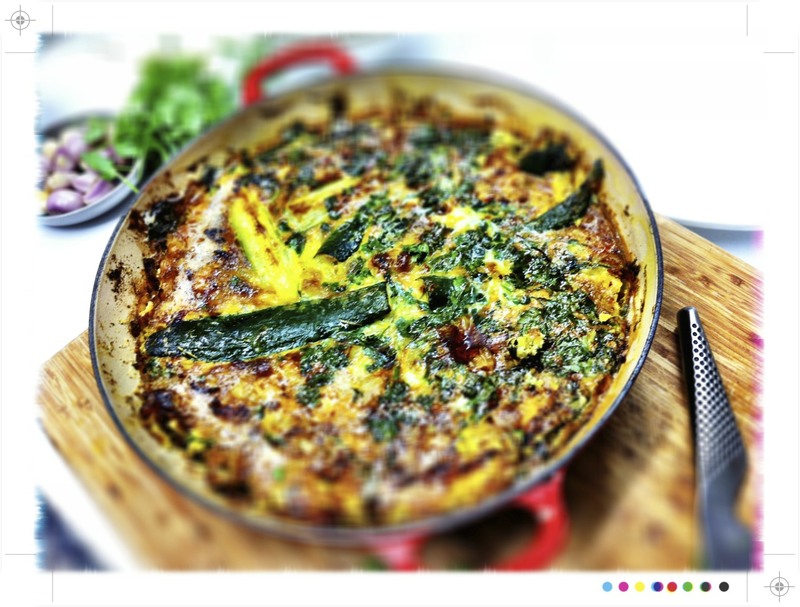 The addition of ginger, turmeric and sumac take this beyond your usual frittata, the turmeric giving it a wonderful golden hue. 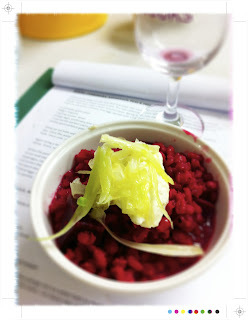 And just one more before we get to dessert, a bright jewel like Pearl Barley Risotto with Beetroot and Horseradish. This was so good. Hearty, yet not heavy, especially with the sharpness of the horseradish and a little freshness from thinly sliced fennel to top it off. And you cannot go past the vibrant crimson beet infused colour. 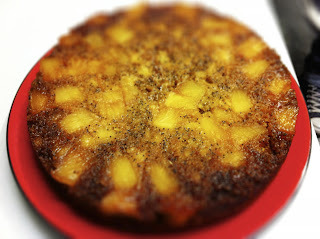 And to finish an Upside Down Pineapple and Poppy Seed Cake with Sticky Toffee...and yes it tasted as good as it sounds. And just to note, no payment was received. The opinions here are all my own and I just really enjoyed the class and share the photos. If you like this you might like this For all my vegetarian friends or those who just love good food. What a wonderful class. Everything you made looks delicious! This sounds like a marvelous class and a lovely book shop. Just this week our first cookbook shop opened here and they'll be holding classes. Can't wait! @El Yes they are great classes...next week outdoor grilling to fingers crossed for sunshine! I recently came upon your web site and have already been reading along. I believed I might depart my 1st remark. I do not know what to say except that We have enjoyed reading.Wonderful weblog,I’ll hold going to this web site very often.